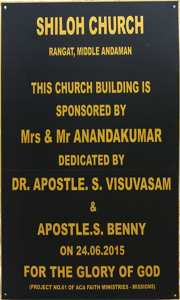 On a beautiful Sunday morning in the Church Service during October 2013 our Pastor was sharing the word of God heading "God's favor". 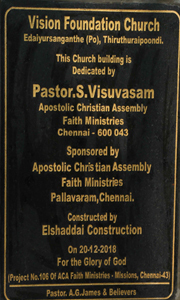 During his message he was talking about Centurion from Luke 7th Chapter. 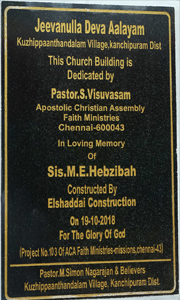 Here he explained that the people around Jesus Christ were pleading to convince Jesus to show mercy to that centurion because, he was worthy of getting a miracle as he had built them a Church and he loved his people. 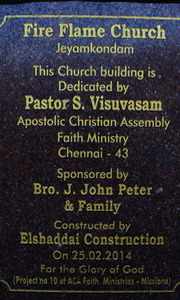 While sharing this point God gave our Pastor a vision of building churches in places where there are no churches at all. 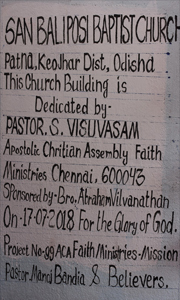 He immediately shared this vision to the church. 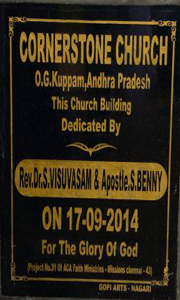 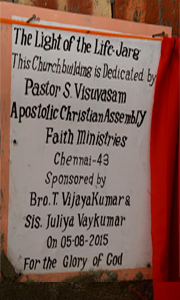 He shared the idea of building a church with a budget of Rs.1 lakh. 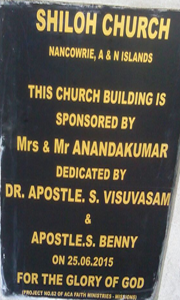 Also he gave a call for believers who can sponsor for this. 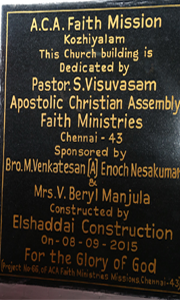 The very same day 20 believers came forward as sponsors. 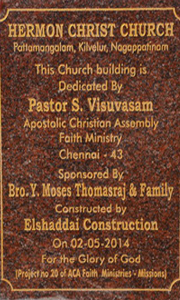 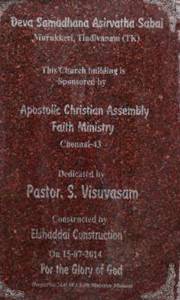 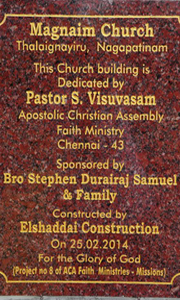 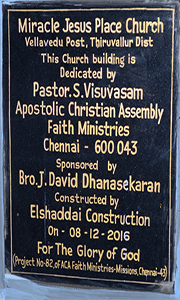 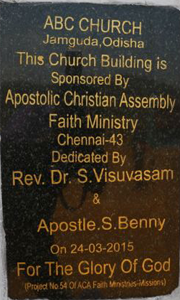 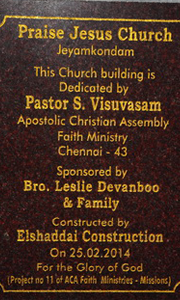 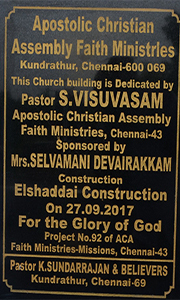 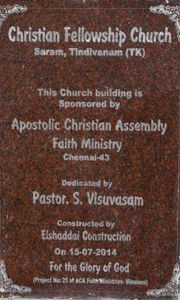 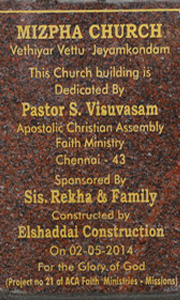 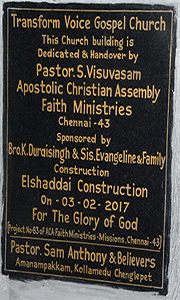 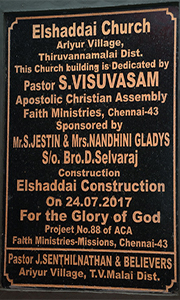 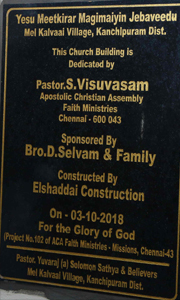 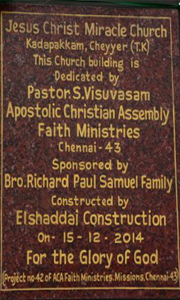 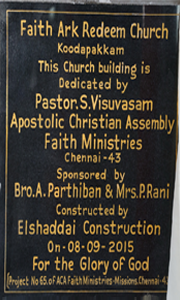 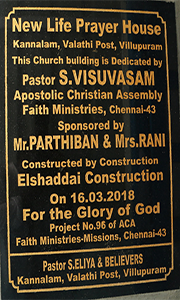 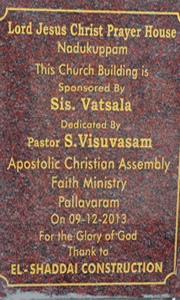 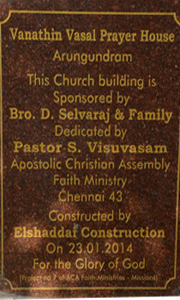 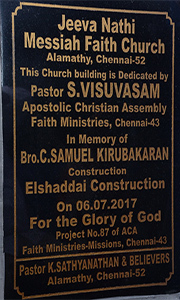 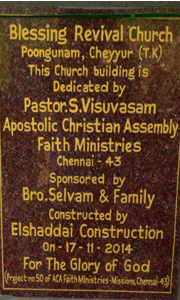 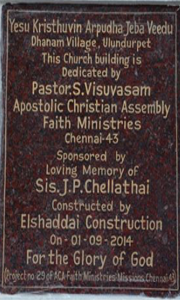 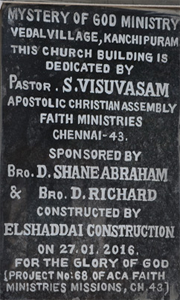 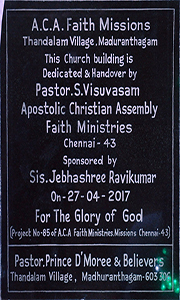 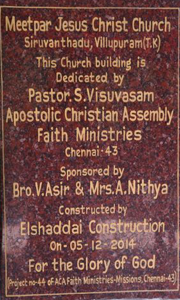 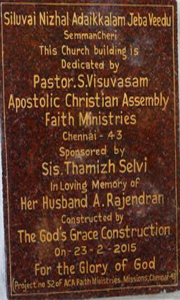 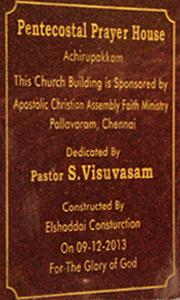 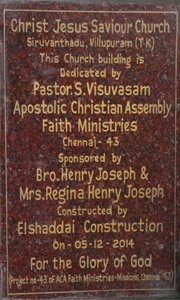 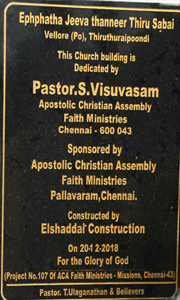 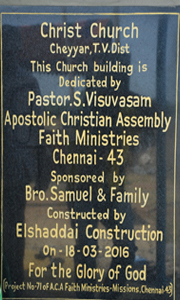 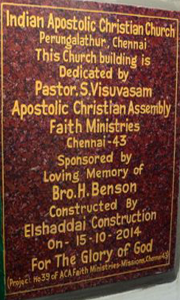 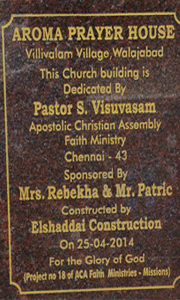 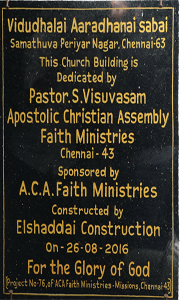 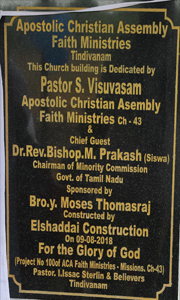 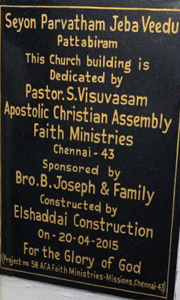 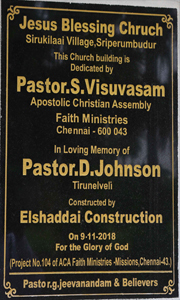 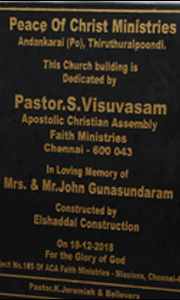 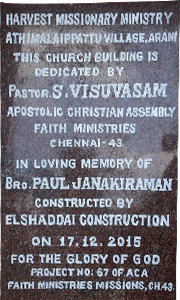 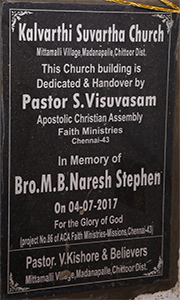 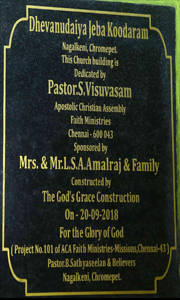 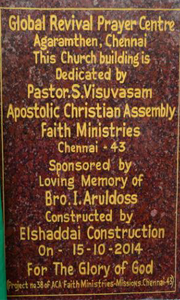 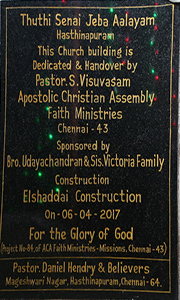 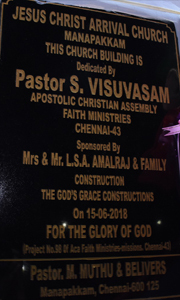 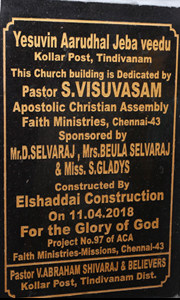 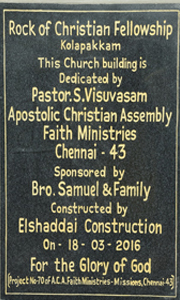 This mission of building churches all over Tamilnadu started during the month of December 2013 and by the grace of God, we have so far dedicated 68 Churches for His glory. 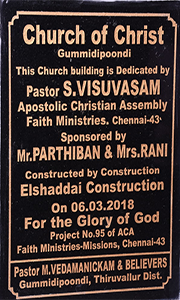 Praise the Lord!!!! 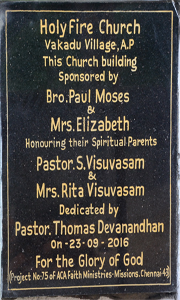 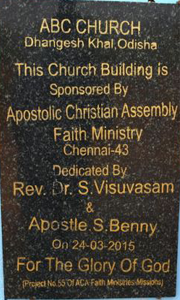 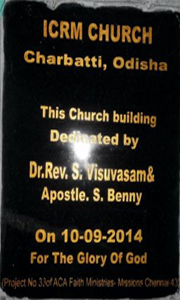 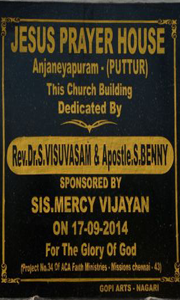 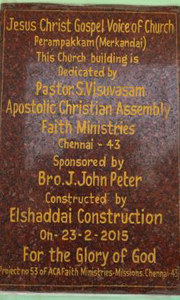 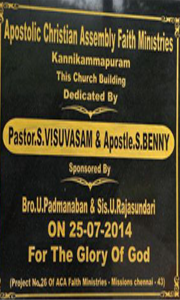 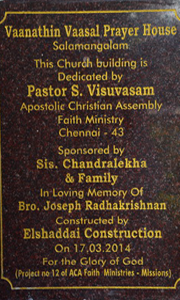 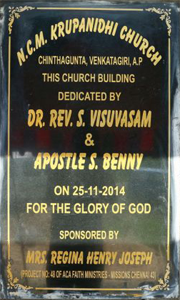 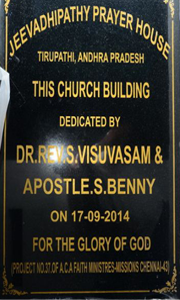 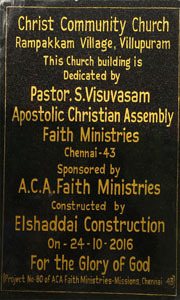 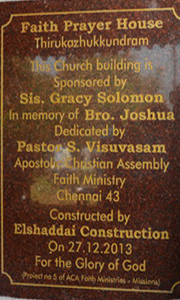 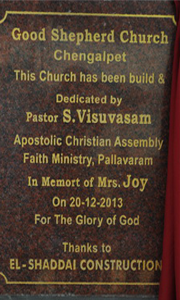 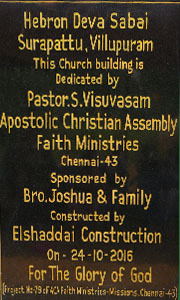 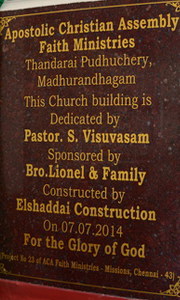 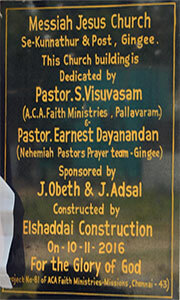 May God bless this project "MISSION" to build many more churches in our country.